These buyers have purchased your product from you for years. It’s not much money, but it comes in reliably. Sales reps might work hard to get additional revenue from them at first, but after a while the account ends up on the back burner in favour of more promising prospects. Like the name suggest, these are new customers. Sales reps tend to focus on these customers the most. Clients who used to be big spenders, but recently cut back how much they buy. They don’t appear to be interested in going back to being a “big fish” anytime soon. You might think that the Troubled Account is the one most likely to head for the door. But research suggests it’s actually Old Faithful. Old Faithful accounts pay their bills, don’t make a whole lot of noise, and don’t seem all that interested in new products or upgrades. They may seem perfectly content with their current status as a buyer. But Old Faithfuls aren’t really content. They’re just not paying attention. Sure, you send them a bill, and they send you a cheque. But that cheque is arriving more out of habit than anything else. They aren’t engaging with you or your product, and they might as well have forgotten you and your product even exist. How do Old Faithfuls end up that way? Usually it happens when sales reps allow a customer’s behavioral cues to influence how much effort goes into an account. That’s a costly mistake. 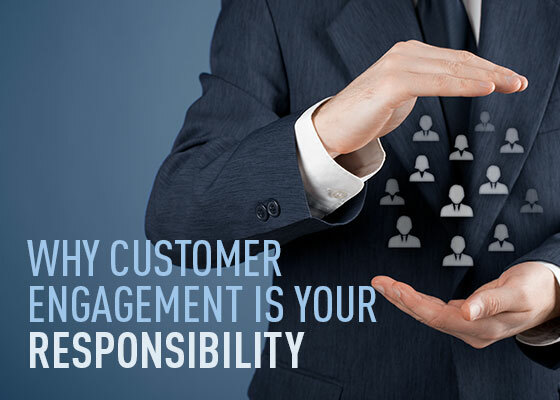 The most successful sales reps know that customer engagement is their responsibility, not the customer’s. That means staying engaged with every customer and prospect, not just the ones who are enthusiastic. If you’re tempted to leave a disengaged customer alone, remember: disengagement is always deadly. If there’s no engagement between you and the customer, there’s no relationship. And no relationship means no customer. Utilise your CRM to keep you engaged and reap the benefits!